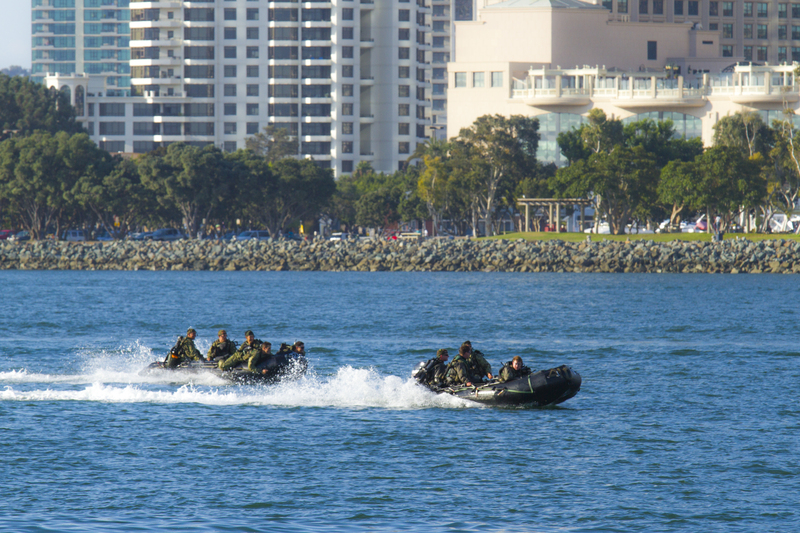 San Diego is home to the Navy’s Seal Team SIX as well as the training facility for sailors hoping to join this elite force. The two small craft in the first picture are called RHIBs which stands for Rigid Hull Inflatable Boat and are rigged to covertly transport Navy Seals. These two boats were part of a flotilla of about a dozen boats that were returning to their base at the south end of Coronado after training in the ocean. The SH-60 Skyhawk helicopter, hovering over the boats as they raced across San Diego Bay, was used to pull the seals individually out of the ocean as they practiced extraction techniques. One of the cool things about San Diego is its exposure to the large Navy and Marine Corps presence. 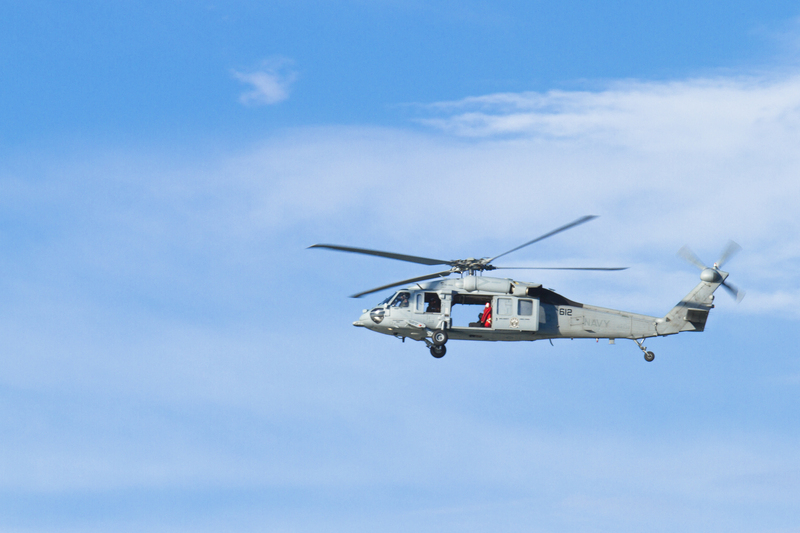 Visitors and residents alike can often see Navy ships, aircraft carriers, Seals, helicopters, and fighter aircraft practicing for overseas missions in and around the bay and up the coast at the beaches along Camp Pendleton.